Day by day travelling by air is increasing and so is the nuisance value of the airport security. It is quite exasperating if at that juncture you end up having your coveted items being confiscated and disposed off just because you were not aware that those articles fell under a “not allowed” list. So the next time you plan a trip by air please ensure that you go through the checklist of the prohibited articles and update yourself to all the latest notifications of the Transportation Security Administration(TSA). 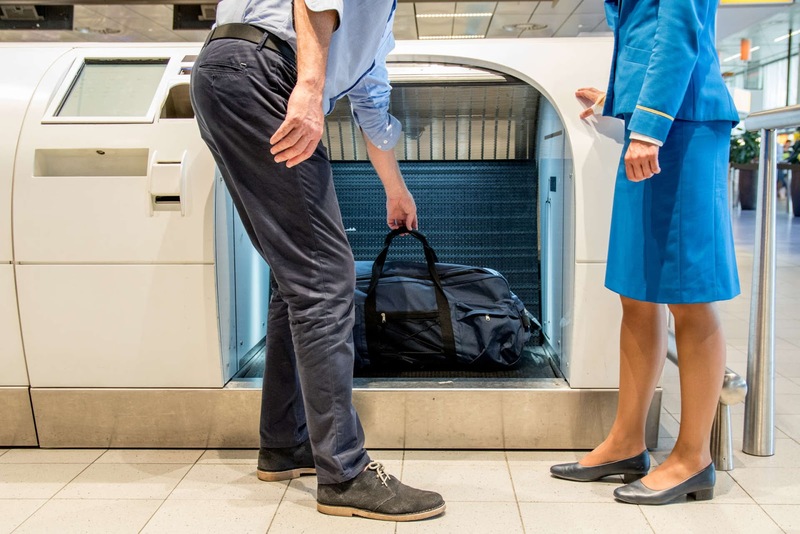 Essentially, the bulletins that the TSA takes out are for the safety of the passengers and therefore, following such regulations help prevent any untoward incident. Considering all this, we suggest that you take the following precautions and pack the items categorized below in your baggage accordingly. · Matches (one book of safety non-strike anywhere) and a common lighter. · Electronic cigarettes but same cannot be used in the cabin. · Small hand tools that don’t have sharp cutting edges. · Small scissors with a cutting edge less than four inches (10cm). · Gels, liquids and Lotions-the rule 3-1-1 by TSA specifies that these by volume must be in a container that is 3.4 ounces (100ml) and not more. Also the items should fit in a clear one quart size plastic zip top bag which should preferably be placed in your carry-on baggage in a manner that it can be taken out quickly to put it in a bin that goes through the screening machine or to have it inspected by the security official. This 2006 rule was amended in January 2014 for those passengers not travelling into the U.S. directly but via an overseas point on a connecting flight. Earlier, the passenger travelling from the originating airport had to insert these items into his checked-in baggage before going through security at the connecting airport and then arrive into the U.S. Now, he can bring these in as long as they are in their original sealing condition in the “secure, tamper-evident bags (STEBS). · Food and gift items : The same applies rule applies here for food items like dips, jams, sauces, salsas, salad dressing and syrups and gift items like creams, lotions, liquid soaps, perfumes, scented oils, etc. -even if they are in sealed gift packs. · Knives and cutting instruments except for plastic or round bladed butter knives. · Sporting goods like a bats, hockey stick, ski poles, spear guns, golf clubs, etc. · Firearms, their realistic replicas, ammunition, paintball guns and compressed air guns without their compressed cylinder attached. · Tools more than 7 inches and power tools such as drills. · Dry ice (frozen carbon dioxide) upto 4 pounds (1.8kgs) only if the package is vented. Banned Items: This is a list of items that are not allowed either in your carry-on or in your checked-in baggage. These are prohibited objects. · Flammable items except for aerosols used as personal care items, toiletries or medically related items. · Matches–only a single book of safety (non-strike anywhere) matches are allowed in the passenger cabin. · Explosives and incendiary materials. · Gases and pressure containers. · Oxidizers and organic peroxides. · Other dangerous items like torch lighters, tear gas, spray paints, etc.